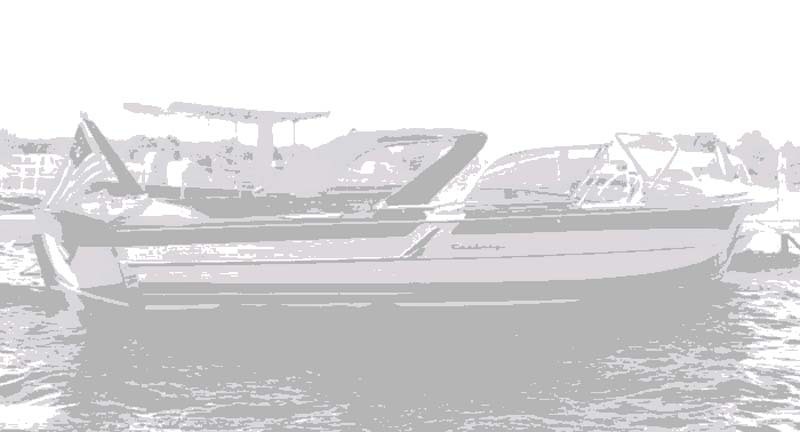 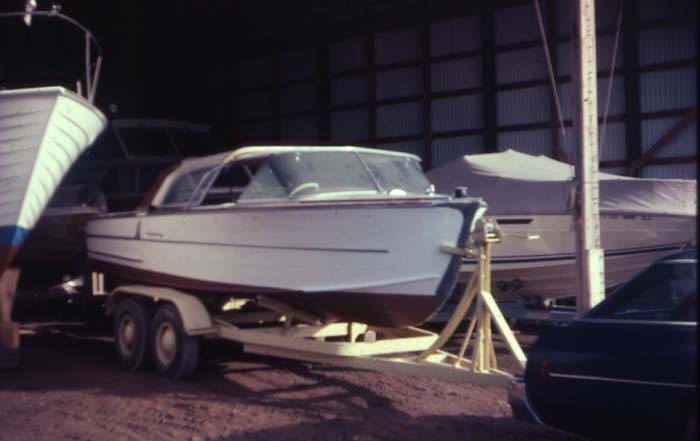 The boat the day it was picked up from Holiday Harbor, in Jamestown, NY. 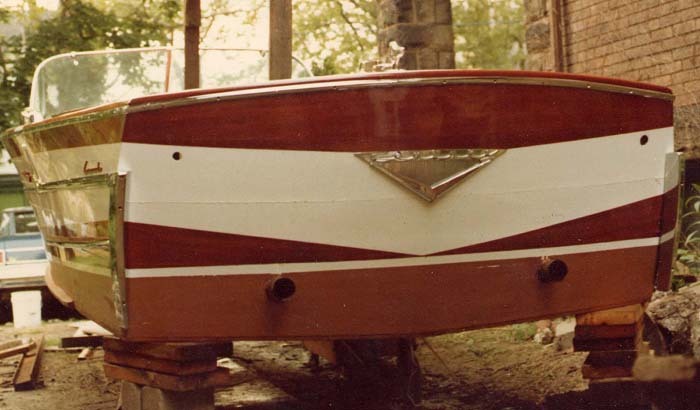 Hull stripped, sanded and stained. 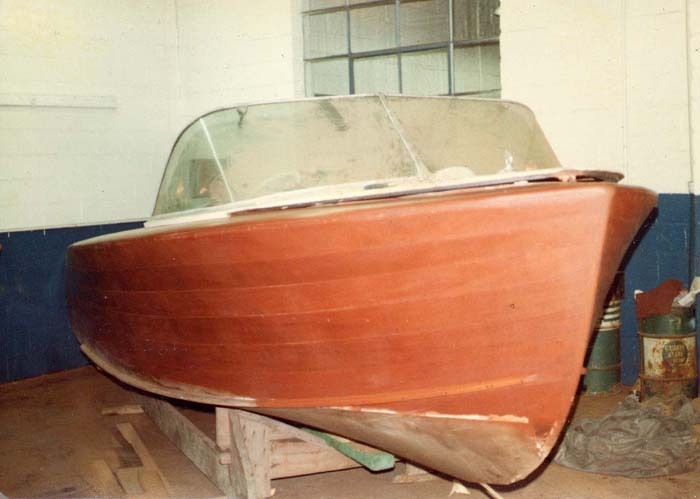 The hull with two coats of varnish. 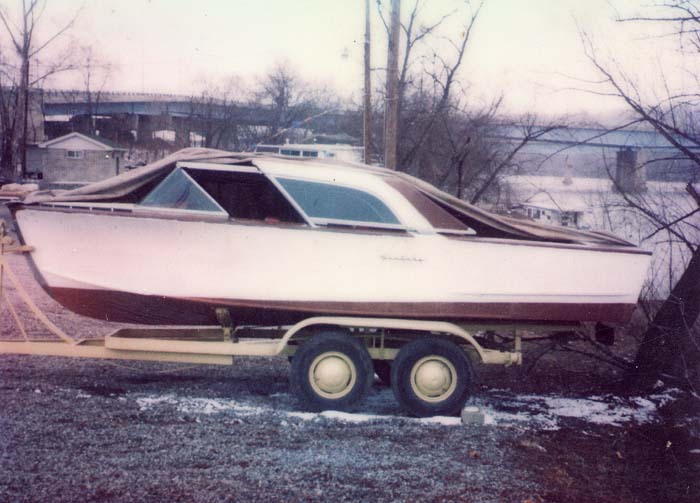 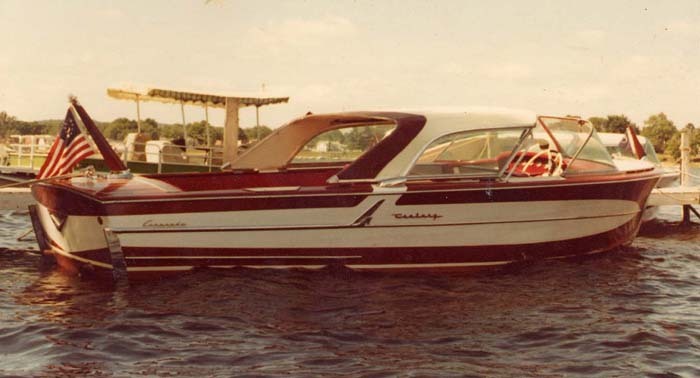 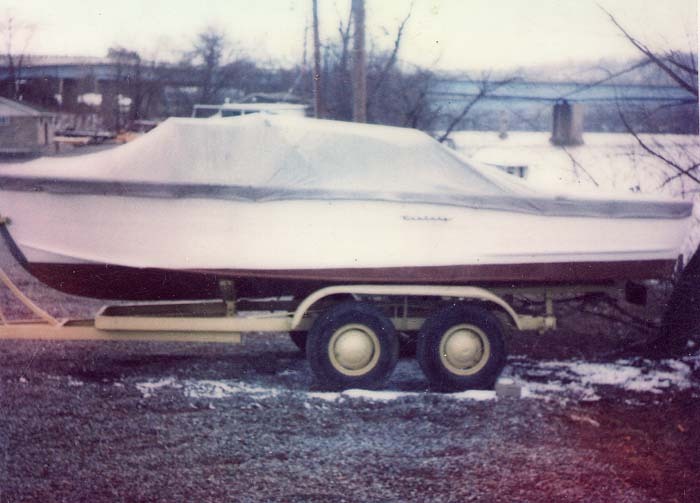 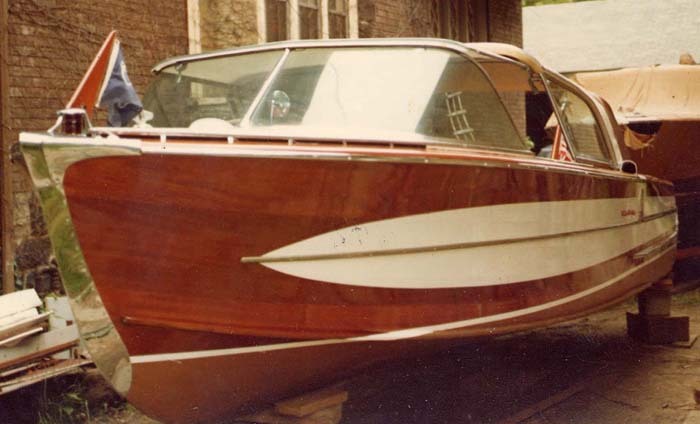 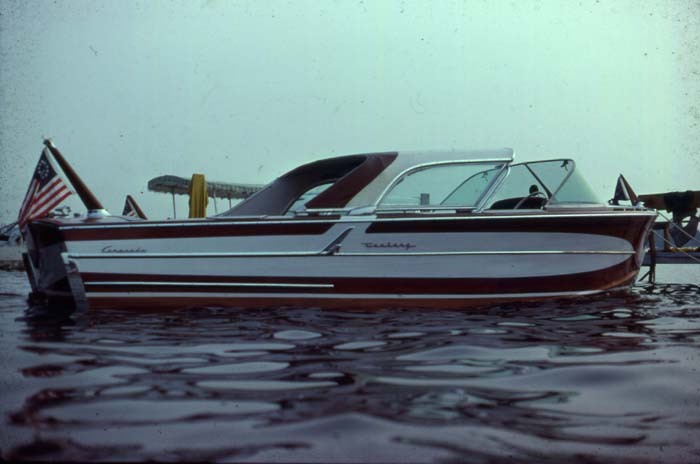 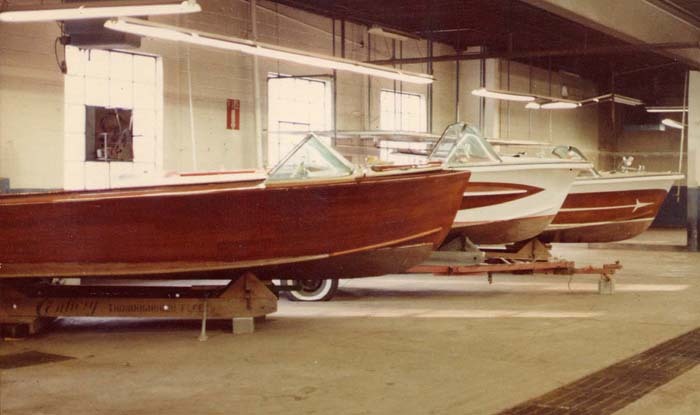 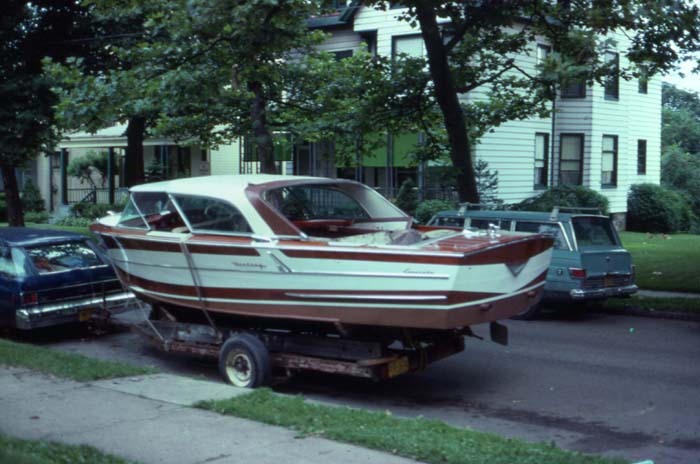 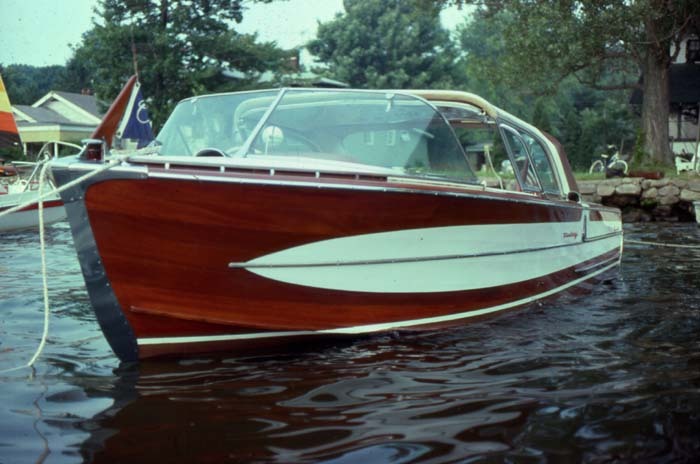 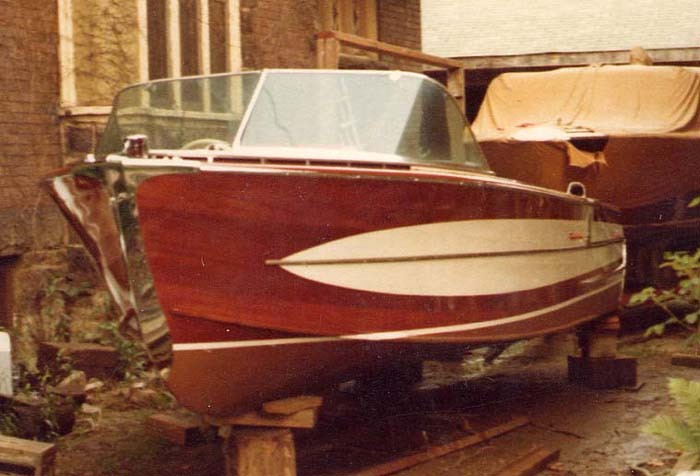 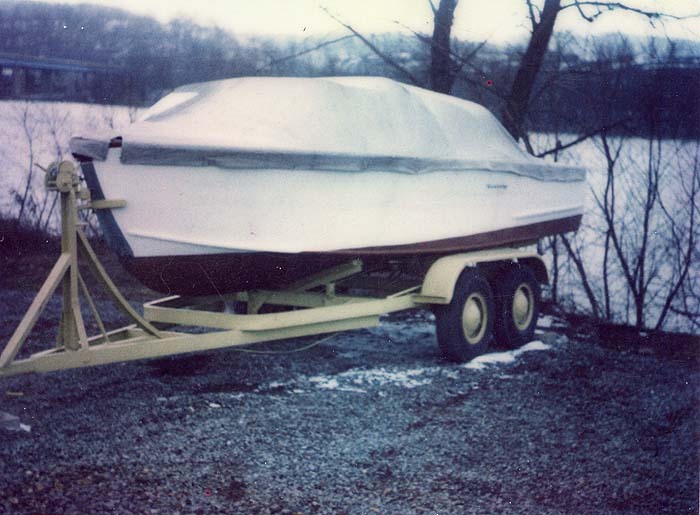 The boat just about finished being perpared to be tested, summer of 1980. 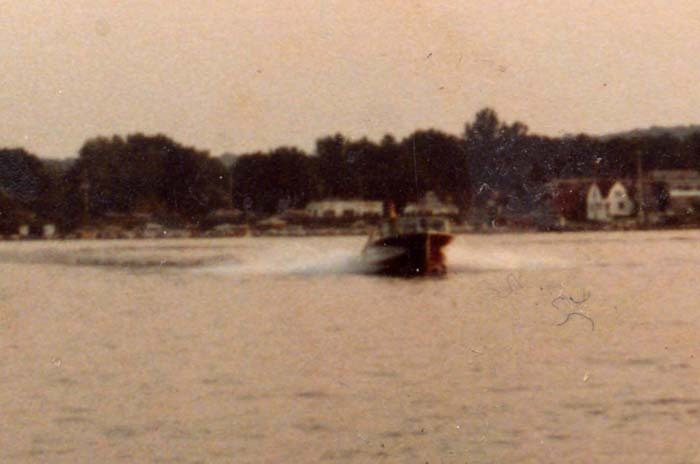 In the water, July of 1980.